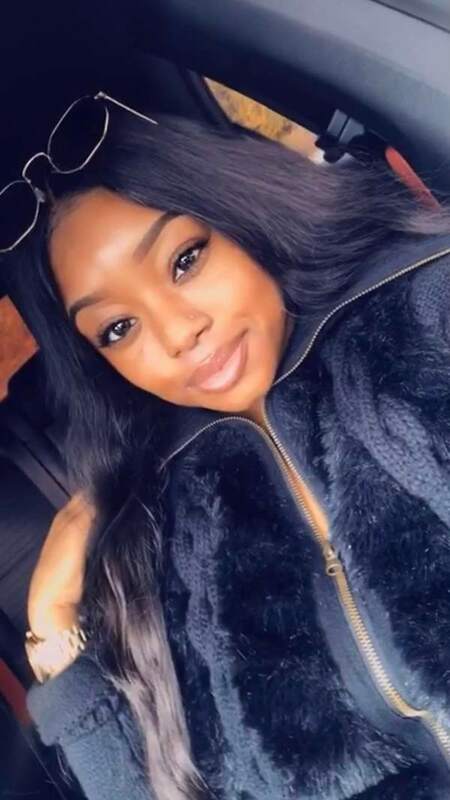 Tatianna started her time with Campus Advantage as a Community Assistant for the Timbercrest at Carrollton property in 2017 and was promoted to Resident Director just three months later, indicating her stellar work ethic and passion for student housing. 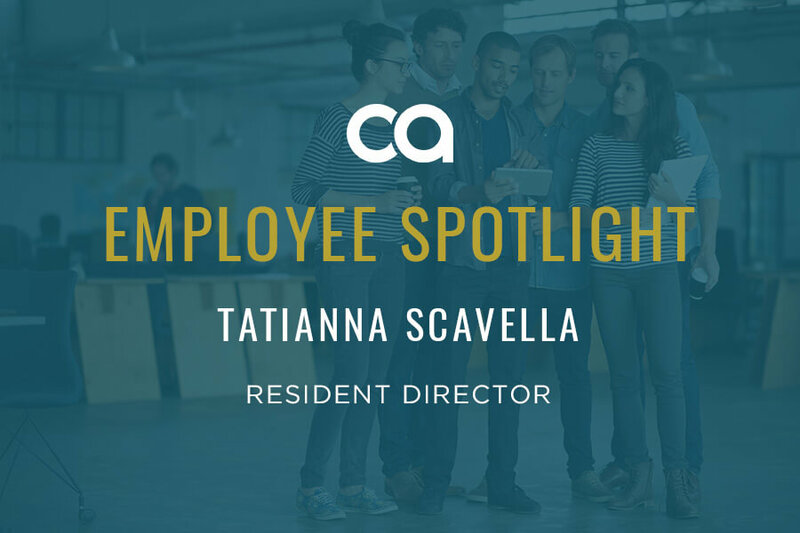 A dedicated, compassionate and goal-oriented leader, Tatianna balances her fierce drive with a genuine care for others, and her upbeat personality and positive attitude are an influential force to both the residents and staff in her charge. Here, we chat with Tatianna about her personal mission statement, what she loves most about working at Campus Advantage, and the song that makes up the soundtrack to her life. IN A FEW WORDS, DESCRIBE WHAT YOU/YOUR TEAM DOES FOR CAMPUS ADVANTAGE. In my role, I engage a lot with the community, and I’m also over Residence Life events. A really fun event that my leasing manager and I came up with was a “Timbercrest Wolf Hunt,” which was a play on the various wolf statues throughout The University of West Georgia. We placed index cards on all of the wolf statues with questions, and if the resident got the question right, they won a prize or a free promo. I think these creative ideas make us different from the competition. We’re not just another place to live – we take the time to make sure we are providing real value. I will never forget this moment. I was coming back to work from a Fourth of July vacation with my family to the property where I was a Community Assistant. I found out when I returned that Campus Advantage was taking over the property. I was very wary, but once I observed the staff’s work ethic and saw that we shared similar values, I fell in love with the company. “Survivor” by Destiny’s Child. Through all of the trials and tribulations that I’ve gone through, I’ve put in the work to overcome those obstacles and face those challenges, which has made me a stronger person. ● Fun. At all times there is a sense of keeping the work environment enjoyable and upbeat and making it a “home away from home.” Campus Advantage truly wants us to enjoy our work and have a good time on the job. ● Evolving. Even when compared to just a few years ago when I was hired, Campus Advantage as a company has evolved tremendously, and it’s because we are constantly testing to see what works best so we can continue to bring fresh ideas to the market. We are very strategic and goal-oriented. ● Performance. We are dedicated to making sure that employees are not only representing the company’s core values but also meeting performance metrics. The most rewarding, educational experience I’ve had at Campus Advantage thus far was the Experience Conference in Fall 2018. It was very special to be among other leaders — those my age, older, or younger than myself — and learn more about their trials, tribulations and point of view. I came back as a more knowledgeable professional, with a better understanding of what residents want, how we can meet their needs, and how to handle challenges on the property. WHAT ARE YOU DOING TO ENSURE THAT RESIDENTS HAVE A GREAT EXPERIENCE LIVING AT TIMBERCREST AT CARROLLTON? I give my all to make sure that residents are living comfortably. One aspect of that is handling conflict resolution. In today’s world, brand reputation – both word of mouth and online – is so key to the way that residents and prospects form opinions about a property. Making sure that I remain a positive role model in the community, at Timbercrest and outside of it, is crucial to our property’s success. I have a personal mission statement – to be a leader in the human resources industry, someone who passionately helps others achieve their career goals. This mission statement drives me every day. The reason why I go the extra mile is so that, at the end of every day, I can confidently say that I did what I could to work towards that goal. I also love serving other people and those in my charge. I try to make sure that everyone has the necessary resources to do their job, and I try to make sure that they see that doing their best here will add real value to their lives. My relationship with my employees is very important. I want everyone to feel appreciated, valued, and understood. I’m very thankful for Campus Advantage and all that they’ve given me as I’ve been on my career journey. They’ve guided me throughout my career with constructive feedback and patience, and as a growing professional, I’m very appreciative. If I could give one piece of advice to anyone hoping to begin a career in student housing, it would be to work for Campus Advantage.